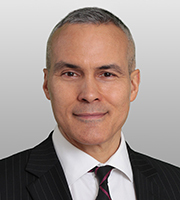 Christopher Adams advises clients on matters involving China and the region. A non-lawyer, Mr. Adams recently served as the Senior Coordinator for China Affairs at the Treasury Department. He coordinated China policy issues across the U.S. government, led negotiations with China on a broad range of trade and investment issues, managed the highest level U.S.-China economic policy dialogues for the Obama and Trump administrations, and advised the Treasury Secretary and other cabinet officials. Mr. Adams helped develop and implement U.S. trade policy toward China with the Office of the United States Trade Representative (USTR) from 2007 to 2015 as Deputy Assistant U.S. Trade Representative for China Affairs, Senior Policy Advisor to the Deputy USTR, and Minister Counselor for Trade Affairs at the U.S. Embassy in Beijing, USTR’s first representative in China. Mr. Adams directed government affairs, public relations, and corporate marketing in China for the Eastman Kodak Company from 2001 to 2006 as Chief Representative for China; Vice President, North Asia Region; and Director, Olympic Programs. During this time, Mr. Adams was elected to four consecutive terms as a Governor of the American Chamber of Commerce in China and served on the Chamber’s Public Policy Development Committee. Mr. Adams assisted companies with market access issues as a commercial officer in the U.S. Foreign Commercial Service in Beijing and Taipei, from 1993 to 2001. Before joining the Commerce Department, Mr. Adams managed media relations and information programs with the American Institute in Taiwan and directed business advisory services at a private trade association in Washington, DC.